Qty This Item Is Not Available! 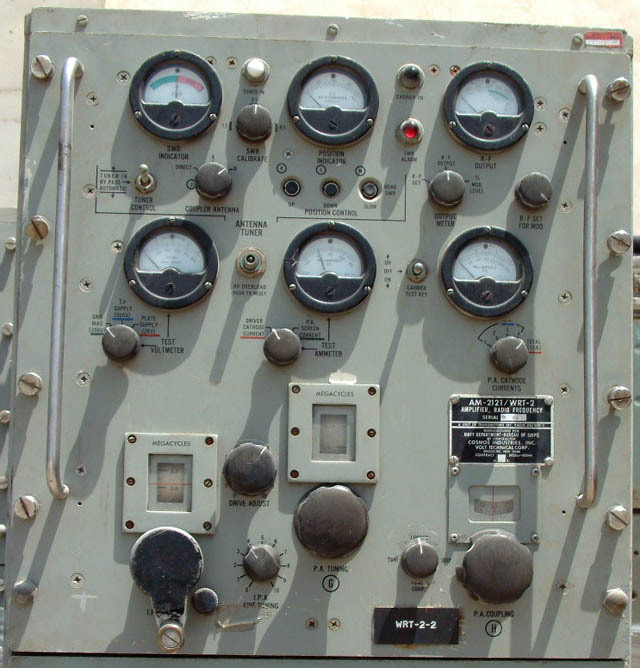 Here is a transmitter for a serious radio ham or collector / restorer who likes a challenge and wants a piece of US naval history. 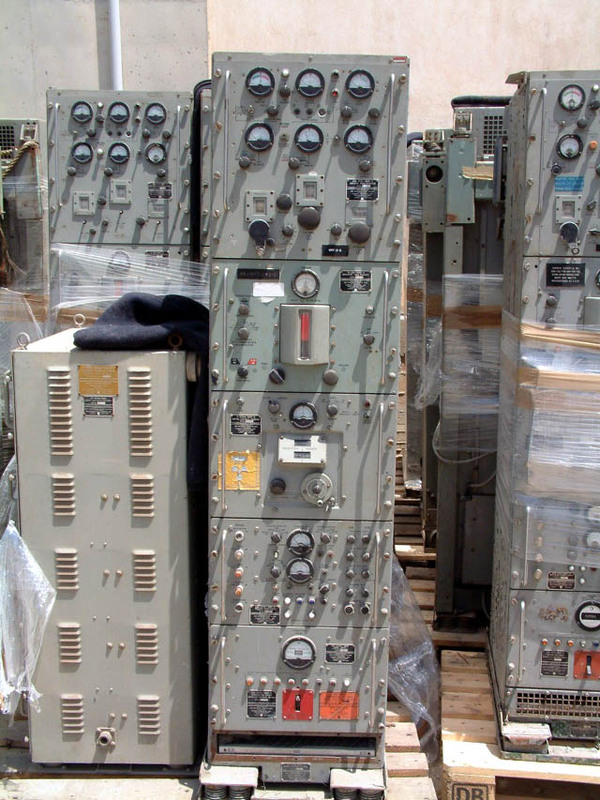 Perhaps you are restoring a radio room in a ship and need some units or the complete transmitter. Only a few hundred WRT-2's were ever manufactured by a few manufacturers for the US Navy and very few remain in existence in private collections and ship museums today, most were sunk in naval exercises or destroyed. 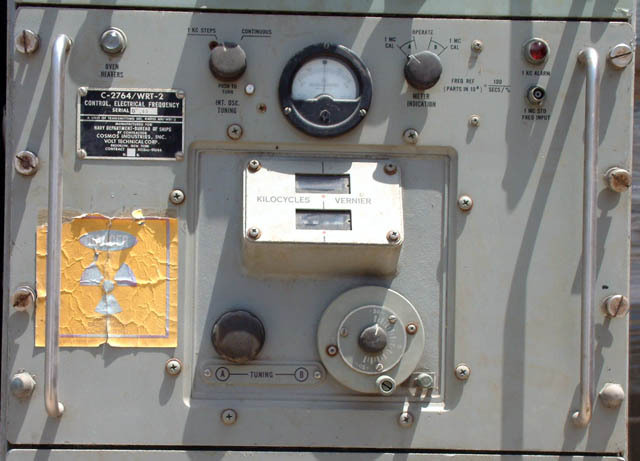 The AN/WRT-2 Transmitter was commonly used on board US Navy Ships in the 1960-70's in conjunction with R-390(*)/URR or R-1051 receivers. The AN/WRT-2 covers 2-30 MHz HF band. The output power is 500 watts in AM mode and almost 1000 Watts on side bands and CW. 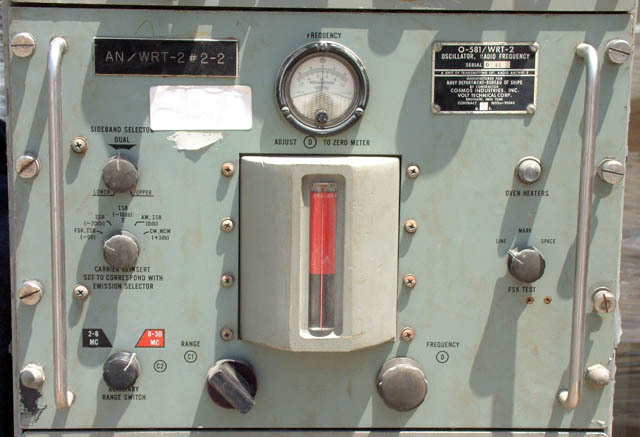 The WRT-2 was unique at that time as it had a unique frequency locking scheme. Modes of operation are AM/USB/LSB/ISB/FSK/RTTY. Works from 115/220/440 Volt 60 Hz AC 3 phase. 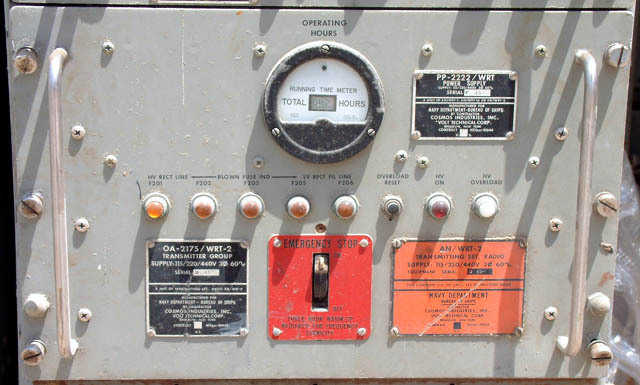 The transmitter cabinet is six feet tall and is made out of five pull-out units that tilt, swivel and luck into position for easy access and servicing. We have available individual units and complete transmitter cabinets. 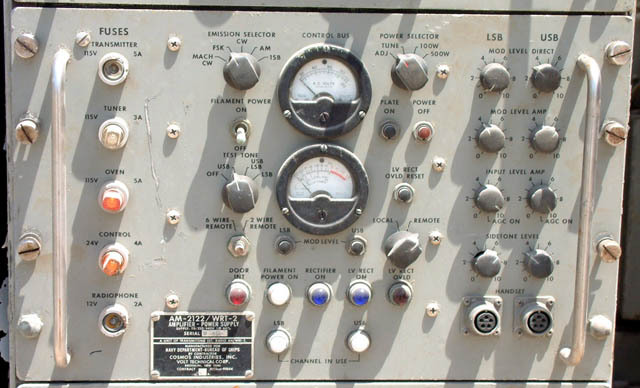 The transmitter and units are available in good complete condition untested Grade-3. Sea freight is the only option. Please E-Mail for details and shipping costs.